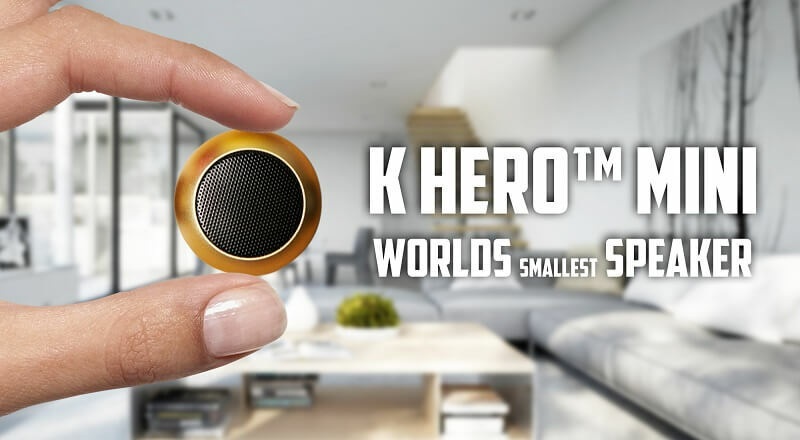 Five years in the making, K Hero™ Mini is widely regarded as the world’s smallest bluetooth speaker, Despite its ultra portable form factor, it can easily rival much larger speakers in terms of sound quality and volume. This is all made possible with K Hero’s patented Nano Processor Q™ technology. Premium 3W speaker provides a wide volume range with strong bass without distortion even at the highest volume. Latest Bluetooth 4.2 wireless technology allows for high-speed data transmission without interference is perfect for both indoor & outdoor use. In-Built 800mAh premium rechargeable Li battery for up to 8 hours of playtime.